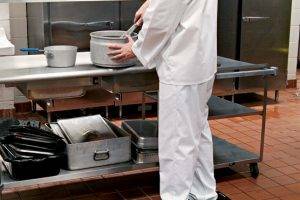 Laboratories, surgical rooms and even gymnasium floors often require environments free of dust, dirt and debris. 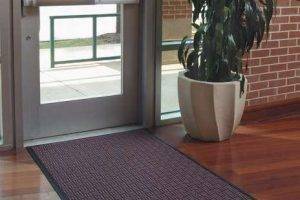 Although carpeted-surface entrance floor mats do an excellent job removing contaminants and debris, they cannot always trap all of the smaller particles that can be tracked in. 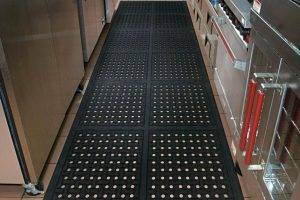 Clean Room Mats, also known as tacky mats, trap impurities in areas that require complete dust and debris control. 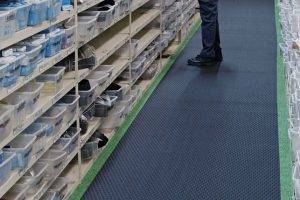 Mat Tech’s Tacky Mats feature a low tack adhesive surface which pulls particles off shoe soles before they can contaminate a “clean room” or gymnasium. We also offer a combination of Waterhog and Tacky Mat in one innovative product called Clean Stride. It’s the next generation clean room mat. The adhesive system used is design never to leave any adhesive residue on the bottom of footwear. 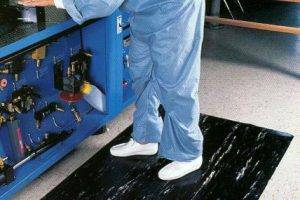 The next generation of the clean room sticky mat is the Clean Stride carpet / tacky mat. 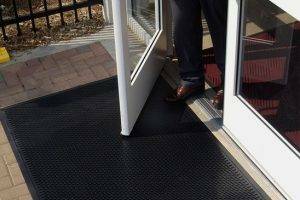 Clean Stride offers two proactive defensive barriers against contaminants entering sanitary-sensitive areas; a carpeted Waterhog Entrance Mat front half and a polyethylene-surfaced removable sticky mat on the second half of the floor mat. 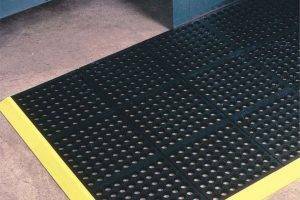 Like its sister product the mat traps unwanted foreign particles, dirt and debris from shoe surfaces therefore protecting sensitive equipment and sterile environments. Extremely effective and simple to use, each sticky mat pad contains either 30 or 60 layers of a sturdy, adhesive/ polyethylene film. Layers are laminated together to form a single pad. Once the top layer has effectively done it job and becomes embedded with dust and dirt, simply pull the layer off and throw it away. The clean room pads do not require any special disposal procedures and are easily replaced with a new supply of film pads. 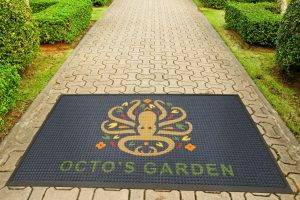 Tacky Mats offer economical dirt control for low-profile carpet, tile or concrete surfaces. 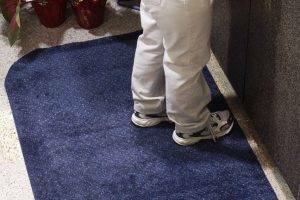 Clean Stride carpet tacky mats offer an added barrier of protection by removing the larger particles before the individual steps onto the polyethylene, low tac portion of the mat. 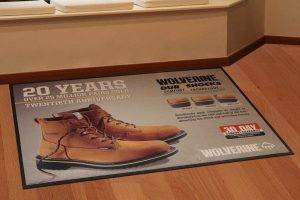 Either option offers a floor mat answer to keeping sanitary-sensitive areas free and clear of foreign substances by trapping unwanted dirt, dust and debris from shoe surfaces. Both products act as a contamination barrier for sterile environments. Replacement tacky pads are available with 60 sheets per unit. 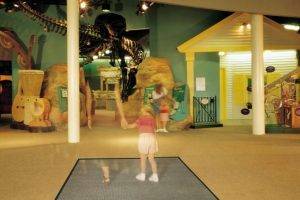 The mat frame remains in place to be used over and over again for years of service. You only dispose of the adhesive film when necessary. 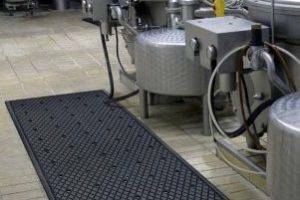 Clean Stride and Tacky Mats are a proactive way to grab contaminates and debris before they enter any sensitive area.